Harmonia Inc. will be hosting their first annual Garden tour on Saturday, July 25th. The garden tour will showcase four of their spectacular properties. The tour will begin with an opening reception at Longhouse Reserve in East Hampton at 10:30 A.M., followed by a self guided garden tour from 12-4 P.M. The featured properties include a Watermill Mediterranean Waterfront, an East Hampton White Pine Forest Setting, a Bridgehampton Farm Field Estate, and one surprise property. All proceeds will be donated to LongHouse Reserve to benefit their educational programs. Tickets are $75 per ticket and include a one-year membership to Longhouse Reserve. Saturday, July 25, 2015, 5 to 8 pm Breakwater Yacht Clug, Sag Harbor Enjoy the sunset with cocktails and hors d’oeuvres on Sag Harbor benefiting the LGBT Network, a non-profit organization serving Long Island’s LGBT community since 1993. Proceeds support the LGBT Network’s Hamptons LGBT Center in Sag Harbor that provides services and a safe space for LGBT youth, adults, older adults, and LGBT-headed families of the East End throughout the year. Saturday July 25, 2015 from 3 to 6 pm Bridgehampton Motoring Club, 3 Tradesmans Path, Bridgehampton, NY The Red Bar Group is an underground collective of watch collectors who meet weekly at undisclosed locations in NYC. It has recently to spread to other US cities and abroad. Major watch companies and independent watchmakers regularly sponsor and attend the get togethers. Started in 1896, the Fair is one of the major sources of funding for the Ladies Village Improvement Society. There are great booths offering exciting items, including Flowers, Local Fare, Salads & Sandwiches (great for lunch), Cakes and Jams, Vintage Clothing, Arts and Crafts, Jewelry, and more. Our two thrift shops, Bargain Box, offer clothing, household items and furniture and Bargain Books is always filled to the brim. Hot dogs, lemonade, soda and ice cream are available, and there is a BBQ from 4:00 pm to 7:00 pm featuring live music. Children love Playland, with its petting zoo, giant slide, toys and clothes, balloons, face painting, cotton candy, games and a fabulous carousel. Sunday, July 26, 2015, 6 to 9 pm 32 Star Island Rd., Montauk, NY 11954 Tickets are $65 in advance, $75 at the door- if there are any available that night! Music by Sarah Conway. Advance tickets sold on line via PayPal. Call the Chamber office for more information and tickets 631-668-2428 Participating Restaurants: Backyard at Solé East, Ciao by the Beach, Swallow East, East by Northeast, Gulf Coast Kitchen at Montauk Yacht Club, Joni’s, La Brisa, Scarpetta Beach at Gurney’s Montauk, Westlake Fish House, Saltbox, Surfside Inn, Turtle Cove Café, Montauk Shellfish Co., Inc, Muse at the End. Participating Breweries: Montauk Brewing Company, Southampton Publick House. Participating Wineries: Pindar Vineyards, Duckwalk Vineyards, Wölffer Estate Vineyards, Martha Clara Vineyards. 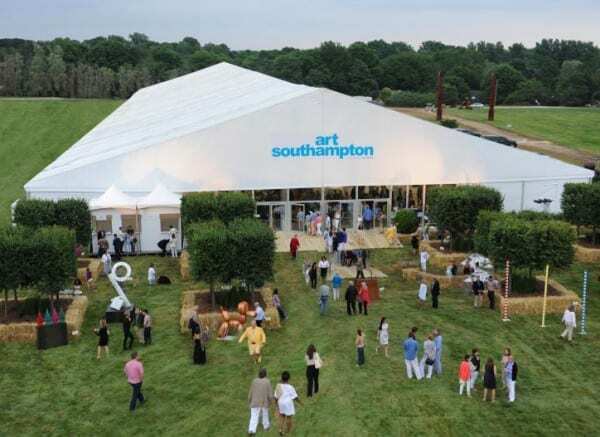 Wrapping up its fourth and largest edition yet, Art Southampton, the leading international contemporary and modern art fair for acquiring investment-quality 20th and 21st century works of art, presented by Art-Miami, drew a record 21,000 collectors, art enthusiasts, curators and art lovers to the world-renowned pastoral grounds of Nova's Ark Project. MONSTER TAKES OUTDOOR MUSIC FUN TO NEW HEIGHTS WITH LAUNCH OF SUPERSTAR™ BACKFLOAT™ FLOATING WIRELESS BLUETOOTH SPEAKER AND SPEAKERPHONE 2015 – Monster™, the world leader in high-performance personal audio, now offers its breakthrough SuperStar™ BackFloat™ (MSRP: $169) high-performance portable speaker that floats and plays on the water. Hot on the heels of the hugely popular Monster SuperStar, the company is now bringing its ahead-of-the-curve audio expertise and lifestyle innovation to the pool party crowd this summer. Not only does the rugged SuperStar BackFloat deliver incredible sound and features, it’s also waterproof and is bringing wet, wireless fun. No matter what active lifestyle you lead, the durable silicone shock proof shell is designed for all weather outdoor use – beach, pool, shower, surfing, kayaking, outdoors or around the house – SuperStar BackFloat delivers great sounding music, with acclaimed Pure Monster Sound™.